Football first and the Champions League Final proved a game too far. Whether it would have been different had Ramos not armed-wrestled Mo Salah out the game is pure conjecture. As far as the goalkeeping errors are concerned? Well you can’t legislate for such happenings although there are some who will say Loris Karius was a mistake waiting to happen – TWICE. No doubt everyone of sound mind and body will have a degree of sympathy and those who took to twitter to issue threats etc; well they hid behind a hashtag or whatever. Not brave enough to come into the open and they should be treated with contempt…end of. However, our goalkeeping situation has been staring us in the face not just for a few months, a few seasons but probably 10 years. Somebody told me before the final his biggest fear was our bench compared to Real’s. I said my biggest fear was our goalkeeper. I think we were both right. Our support was amazing, not just in Kiev but back home. I went to Anfield and I’ve never experienced anything like it – before and during the game. I suppose to fully appreciate what it was like in Kiev from the moment our support began to arrive to the moment they got home, you would need to have been part of it. The same can be said about being at Anfield. 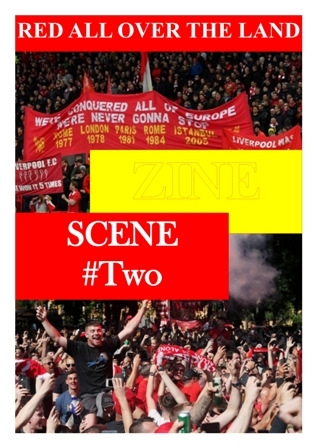 I mentioned in the first of these digital epistles about trying to encourage larger numbers to subscribe to the Fanzine and we’re still trying to do that. If you have the time and the means to spread the word, feel free to do so. Another aim is to encourage new writers, new contributors and to try and increase our selling team on match day. Anfield is a huge complex now and there are so many bases uncovered. 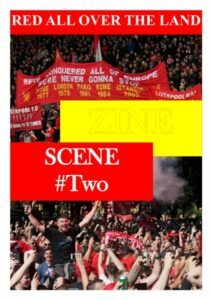 Selling the Fanzine in all kinds of weather might not seem like a good idea, but it’s a way of getting to meet fellow fans and more besides. As far as sending in an article, just do it. It’s easy. As in previous seasons we’re bringing out our popular ’HAPPY NEW SEASON’ cards and these should be available early July. Moving further ahead, there should be a return to our CHRISTMAS CARDS as well. Finally, I’m trying to make the website a bit more interesting but one thing you will never see on the site are rumours and speculation. Just about every fan site, Facebook and Twitter feed does that but RED ALL OVER THE LAND is only interested in FACT. In short, we believe a player is going to sign when he has signed. It was great news about Fabinho, not just that we signed him but the way it was conducted. Little talk just action. That’s how it used to be. I’ll be away on holiday for a couple of weeks but in this day and age we’re only a keyboard away. JJP Thinking Loris Karius could be the new Gary Sprake…google it!! !